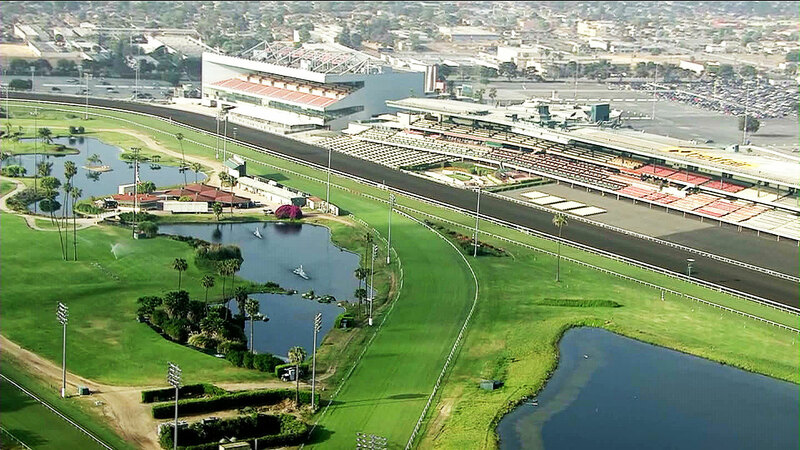 After 75 years of racing, Hollywood Park in Inglewood, CA will host it’s final three stakes races this Saturday, December 14. 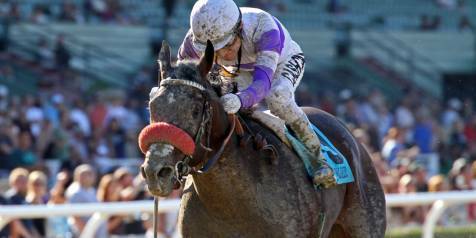 The card will be highlighted by the $750,000 Grade 1 Cashcall Futurity. Before Churchill Downs implemented the Kentucky Derby “Points System” in 2012, the Run for the Roses field was determined by Graded Stakes earnings. 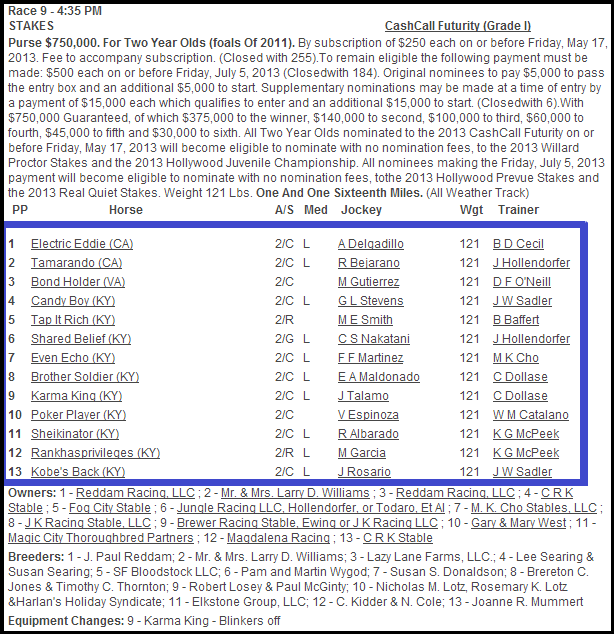 A win in the Caschall Futurity all but solidified your spot in the field of 20 on the first Saturday in May. 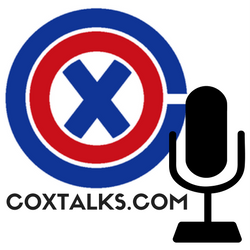 Last year, the Cashcall carried 10, 4, 2 and 1 points toward the Kentucky Derby, the same as all two-year-old races in 2012. Last year’s race was won by Violence, a Todd Pletcher-trainee who was retired after running second to eventual Kentucky Derby winner Orb in the Fountain of Youth Stakes in February. Two years ago, Bob Baffert-trained Liaison took the Cashcall Futurity, did not even finish in-the-money in his next three Kentucky Derby prep events, but still made the field of 20 at Churchill Downs. In 2013, the race features a field of 13 talented two-year-olds, including two Grade 1-winners: Tamarando and Bond Holder. There does not seem to be much speed in this race. Karma King showed early speed in his last effort, the Real Quiet Stakes also at Hollywood Park, but he is doubtful in my eyes to be able to hold on. An interesting contender is Jerry Hollendorfer-trained Shared Belief, who has won his only two starts by at least seven lengths. 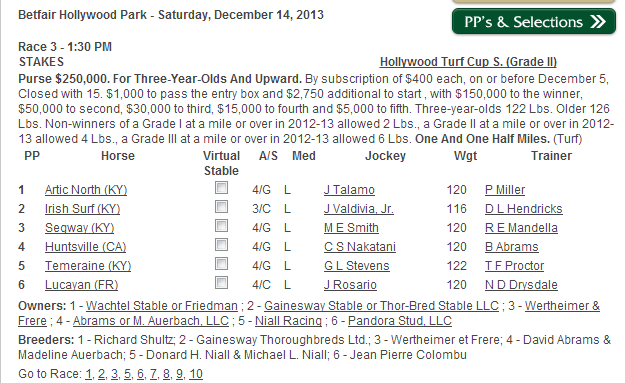 One of those wins was the Grade 3 Hollywood Prevue S., so it seems he takes well to the Cushion track at Hollywood. This will be his first try at two-turns, so who knows if this impressive juvenile will be able to hold on if he gets up to the lead mid-race. Hollendorfer’s other entry, Tamarando, also likes the cushion track and has shown he can run this distance, capturing the Real Quiet Stakes in his last outing. Coming off a fourth-place finish in the Grade 1 Breeders’ Cup Juvenile is Bond Holder, the Grade 1 winner of the Frontrunner Stakes at Santa Anita on September 28. I expect him to bounce back well and at least hit the board in this one. Hall of Fame trainer Bob Baffert will try for his record seventh Cashcall Futurity win with Tap It Rich, who finished fifth behind Bond Holder in the Breeders’ Cup Juvenile. The final entry worth mentioning is Candy Boy, who broke his maiden also at Hollywood Park in his last start going 1 1/16 miles, winning by eight lengths. I see Karma King getting to the lead early, and potentially Shared Belief and Candy Boy challenging after about six furlongs. I see Shared Belief and Candy Boy wearing each other out down the stretch, and Bond Holder, Tap It Rich and Tamarando bidding in the last half-furlong. 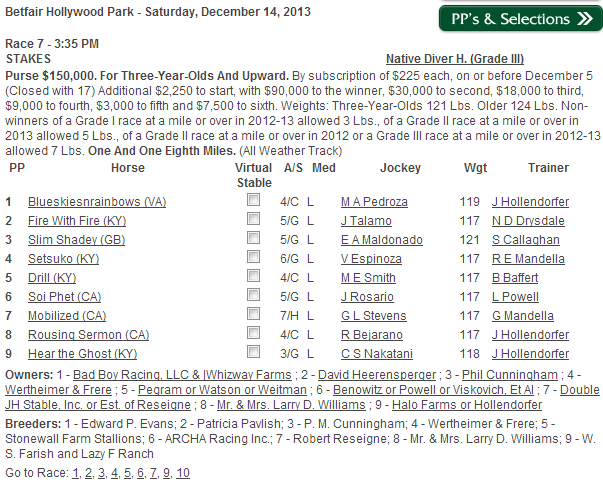 Should be a fun Saturday out on the West Coast, and a good stakes-sendoff for the historic track. Happy firing!